Two weeks ago I impulsively posted a list that a few fellow pilgrims and I wrote one afternoon on the Camino. It was about “that” pilgrim — you know, the one who crinkles plastic bags and bangs into people with their pack and doesn’t clean up after themselves in the albergue kitchen. The post touched some kind of nerve, because overnight it became the most-popular post I’ve ever had on this blog, and it launched dozens of discussions on Facebook. One comment over there really got my attention. Mike suggested that if I was going to make a list of how NOT to be that pilgrim, we needed a parallel, positive approach. What are the ways to be THAT pilgrim — which I read as the one who not only thrives personally, but makes the experiences of everyone around them better? What a great idea! Anyone who’s walked the Camino has discovered that the people around you affect your experience as much as anything else, including the weather. But when you’re in the middle of it, and surrounded by beautiful scenery and blistered feet and threatening weather and the steady pressure of moving forward, it’s easy to get tunnel vision and forget that we influence those around us as much as they’re influencing us. Just because I blog my stories and observations now, from the comfort of home, doesn’t mean that I had some kind of unusually clear perspective when I was in the middle of it. To be honest, a lot of days I wasn’t very good at this. I was caught up in my journey, my aches and pains, my desires and fears, and my own pet peeves. But there were plenty of people around me who cared for me when I was on the edge, and who were THAT pilgrim for me. I’m lucky enough to be married to one of them. From the day we landed in France to the last night in Finisterre, I often coasted in the jetstream of Eric’s generosity, his joy, and his natural instincts for doing this well. So here are the things I saw, especially in him. See, I told you he was the perfect Camino travel partner. That’s my bag he’s carrying. This was Eric’s daily mantra, which I’ve written about elsewhere. Instead of complaining to others about the people/showers/menus/schedules that are not ideal, work with what you find and make the best of it. Focus on the things that are good. A positive attitude will spread to the people around you. 2. Try to speak to people, especially local residents, in their own languages. Yes, it’s possible to get by on the Camino with English and some awkward sign language, but the experience is richer if you can reach past the isolation of being an observer. Then one night we met a Canadian named Jack, whose French accent was as bad as mine. But he wielded it fearlessly as he chatted with the bartender, our host, and especially our fellow pilgrims — faces I’d seen every day for weeks, but was too timid to try a conversation. And they responded to his efforts. No one laughed at him. Instead, they told him stories. If nothing else, learn to say thank you as often as possible, and in as many languages as you can. Gracias. Merci. Three Mexicans, an American, and a Korean walk into a bar…and by the time we leave we’re all great friends. 3. Share stories with those outside your comfort zone. I think it would have been easy, as a married couple traveling together, for us to have become isolated, depending on and talking only to one another. But how boring would that have been? We already know one another’s stories. And Eric has never met a person who stayed a stranger for long. The Camino is not just about the stunning scenery or the thousand years of history. It’s also about the people who come from all over the world to experience it together. I can’t think of a similar opportunity for a shared experience that crosses so many cultures, and provides so much opportunity for conversation. I often tease Eric about being pathologically helpful, but really, it’s a powerful gift to bring to the Camino. When I think about our first week in France, I always come back to the people who helped us limp along. They would translate for us and make phone calls for us in the remote areas where reservations were important. One guy went two kilometers out of his way to help us find the fromagerie. An entire walking club basically adopted us for a week, tracking us down most evenings to make sure we were cared for. I called them all our Camino angels. Be aware of your surroundings. If you see another pilgrim struggling to communicate and you have a smidgen more language skill than they do, try to help them breach the barrier. If you see someone struggling to carry their bag (umm, that was mostly me), offer to share the load. Volunteer to do the dishes after a communal dinner. Share your tube of Voltaren (best European export since the croissant). The first (and only) time Eric had a blister, it seemed like every person in France wanted to give him something to help. 5. Make something special for everyone one night. After a long, rainy, hard climb from Astorga to Rabanal, Eric and our friend Emily stumbled across a couple of oranges in the tiny town market, and an idea was born. An hour later, the smell of hot mulled wine drifted through the donativo albergue, and our fellow travelers drifted toward the kitchen like those cartoon characters who float behind their noses. Weeks later, random people still talked about that night. On a warm summer night in Ribadiso, a couple of young pilgrims pulled out guitars (how did they carry those?) and sang on the lawn as the sun set. Again, the community of scattered pilgrims drifted toward one another. They don’t happen every day, but look for opportunities to make those moments. 6. Walk your own pace (and let others do the same). There were days when we would walk too far (for me), and I would be a hot mess by the time we got to the gite or albergue. Barely waiting until we were checked in, I would stumble off to my bed and curl into a ball of tired, sore, grumpy misery. I didn’t want to talk to anyone. I didn’t want to think about anyone else. Needless to say, I was not THAT pilgrim on those days. 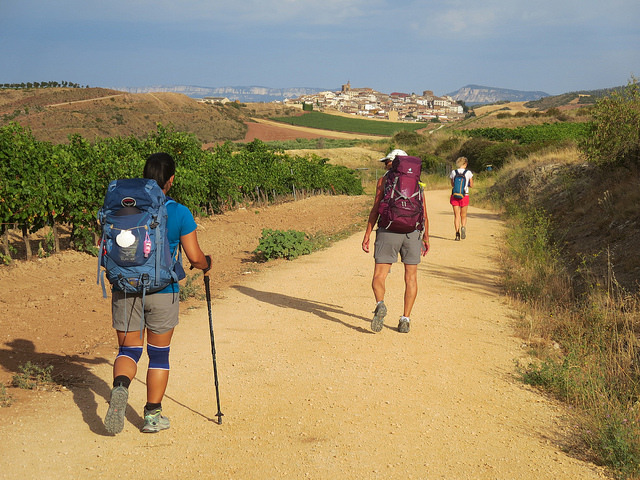 As our Camino continued, we learned to slow down and take more breaks, and my body got stronger and better at walking. Things started to be more fun. When we limited our daily distances (for me, that meant keeping it under 30km, but everyone’s pace is different), I had the energy to explore, and to interact with my fellow pilgrims. I had the courage to try the languages, and initiate the conversations, and even do something for someone else every now and then. Being THAT pilgrim for the people around me, in other words, started by understanding how to care for myself. If I used all of my energy in a race to the future, I had nothing left for the people in the present. Which brings me back, again, to #1. But like I said, I’m no expert in this. Camino alumni, what would you add to this list? What were the things that made other pilgrims THAT person for you? This is REALLY beautiful. I hope and plan to be THIS pilgrim. Bright blessings. Smile with love above all that is on The Way. The snoring pilgrim you wish was You! Double up your earplug supply. The limping pilgrim who might need a hug! The mourning pilgrim come to find closure…. touch his or her shoulder . Sleep outside if you have a chance; the stars remind you of your smallness in this universe. Sit in a church…. just sit and God will find you. The noisy pilgrim who maybe just has enough boisterous personality for three; we’ll learn to let go a little! Mentor the young and model the wise! Or maybe model the young and mentor the wise as I experienced wise, wise youth and wiser as in “Should Know Better” judgemental mentalities. All the same I smiled. I danced when my body ached and I cried instead at the wondrous love I received. We are all on our own path…. and judgement should not be found on the path. Love above all with keen discernment. I was judged for walking alone because when people would ask, I told them that I did not want to worry about another living soul. My walk was a spiritual journey and was the hardest thing I ever did. Yes, I moved a bag ahead and everyone was gracious about that. 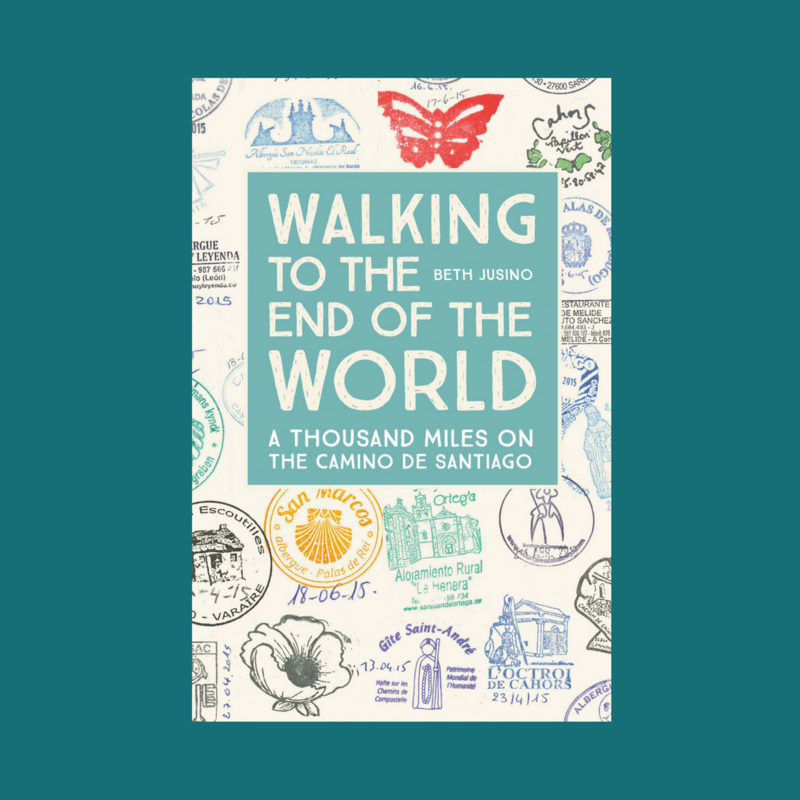 There are many ways and as many reasons for walking either the whole or parts of the Camino. Next year I am planning on doing the Porto to Santiago route along the water adding Finisterre at the end but by bus from Santiago. Hoping the scaffolding is off the cathedral by then. Met so many wonderful people from many countries and what is so true is that you are never alone in the Camino. Buen Camino to all who experience this great adventure.